At Chabad we hate to see you go. But if we have to say goodbye, let's do it in style. Below please find information on the graduation festivities we have planned for you and your families. 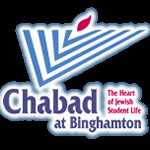 Say goodbye in style at our elegant Wine and Cheese Reception for our Graduates (and their special guests) on Wednesday, May 15th, 7:30pm at the Rohr Chabad Center for Jewish Student Life.